Completed in 2002, it has been visited by tens of thousands of people and continues to attract thousands from across the globe. 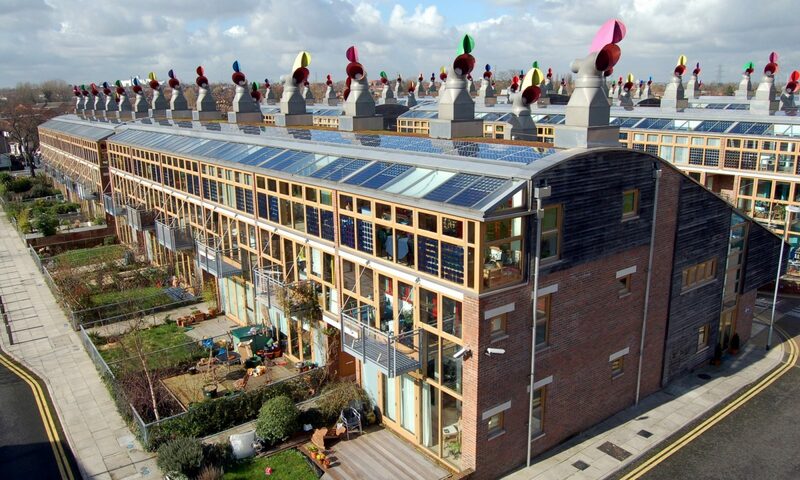 It remains, arguably, the most ambitious attempt at all round sustainability in a major new housing development. Much of it has stood the test of time but some of its green technologies have proved challenging to adopt. BedZED’s biggest and most important success, however, is that it remains an attractive and popular place to live, demonstrating that a large shift towards sustainable living need not entail sacrifice and discomfort. Children play happily and safely in its pedestrianised streets. Heating, power and electricity bills for its residents are much lower than ordinary housing. Sale prices for the few BedZED homes that do go on the market are above the local average. In this booklet we explain how BedZED came to be built, the thinking behind its striking and award-winning design, what it is like to live here and how well it has performed. Book a tour of BedZED to learn more about the development close up!